The newest addition to our Men’s Superfine Merino collection. Featuring an elastic waist with pull ties, deep side pockets and straight legs that finish at the knee, these shorts are stylish and practical. Wear on their own (with a classic T-shirt) for summer days or warm weather training - or layer up to stay warm with a pair of thermal leggings underneath for mountain biking and hiking, or wear under your jeans or for extra warmth on your way there! 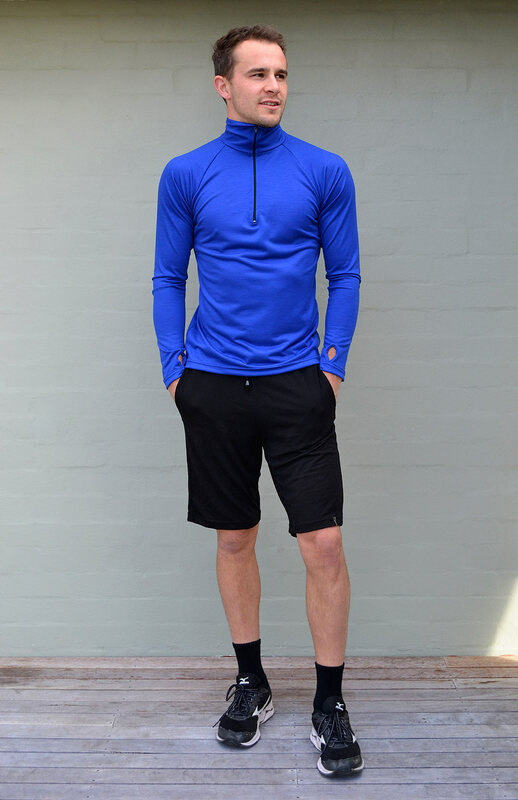 Complete your outfit with your favourite lightweight Crew Neck Top and Zip Neck Top - you’ll be set for any weather.